From fair housing laws to licensing requirements, the real estate industry is accustomed to navigating various legal constraints and requirements. However, as a result of current ambiguity in the law, class action lawsuits based upon website accessibility pose an emerging threat to real estate brokers, lenders, homebuilders, and ultimately, any company that has a web presence. Today almost all companies have a website, which is often used as the primary method to provide information and to market to current and future clients. But what about clients and prospects that have disabilities? Do they have equal access to your company website? 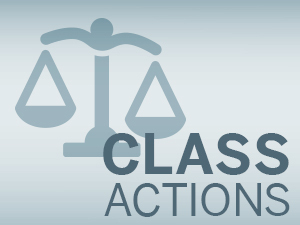 If your company has not addressed this issue, it not only may be missing potential clients, but it also may be a target for plaintiffs’ attorneys who are eager to capitalize on the current unsettled state of the law by bringing a class action lawsuit. A recent Washington Post article by nationally syndicated columnist Ken Harney explains that one Pittsburgh law firm alone has sent letters demanding action and threatening litigation “to as many as 25 realty and home-building companies in recent months.” While the recent focus may be in the real estate industry, web accessibility has been a hot topic across various industries, including big name companies like Netflix, eBay, eHarmony, and Ace Hardware, among others. In a landmark class action against a major retailer in 2006, the National Federation of the Blind (“NFB”) claimed that the retailer’s website was inaccessible to blind users in a number of ways. The problems included lack of purchases that could be completed without a mouse, inaccessible image maps to show store locations, and missing headings causing navigation difficulties, among other problems. The retailer ultimately agreed to pay class damages of $6 million to settle the matter. The settlement also required that the retailer make its website accessible, the process of which would be monitored by NFB. The case serves as a warning to companies about the scope and potential cost of these types of lawsuits. The settlement also has the hallmarks of a typical settlement in these types of cases which often include: adoption of a website accessibility policy, required incorporation of website accessibility into key aspects of website development and design, training, achieving substantial compliance with specific accessibility standards, and a significant monetary component. In part, such cases are becoming more frequent because the current state of the law is unsettled. As those in the real estate industry know, the Americans with Disabilities Act (“ADA”) can be costly in the employment arena and the Fair Housing Act also covers advertising and access to housing for those with disabilities. Website accessibility lawsuits focus on Title III of the ADA, which governs access for disabled persons to places of “public accommodation.” There is no question that this law governs physical public places like restaurants, hotels, theaters, retail stores, shopping centers, model homes, and a number of other places that are specifically addressed in the law. Title III requires those places to be accessible to persons with disabilities so that they have equal opportunity to enjoy the goods and services offered in such a place. However, a key question remains unaddressed in the law: are public websites considered places of “public accommodation” subject to the same requirements? Various courts have answered this question differently and based on differing criteria. The Department of Justice (“DOJ”), which has promised to issue regulations clarifying what it expects and requires in terms of website accessibility, has recently delayed finalizing ruleson the topic under Title II of the ADA, which applies to state and local governments. Even though Title II does not apply to the websites of private companies, the Title II regulations would give companies insight into what the DOJ considers best practices for web accessibility. Addressing Title III applicability to websites of private companies is on the DOJ’s long-term agenda. It is expected to initiate the rule-making process with a Notice of Proposed Rulemaking in 2018. Without formal guidance from courts or the DOJ regarding whether Title III applies to private websites and what form web accessibility should take, what can a company do to protect itself against the onslaught of potential lawsuits? Do you have audio content that is not accompanied by a text alternative or captioning? Such content is not accessible to persons with hearing impairments. Are links on your website signified by a different color text only – or are they also underlined? Links marked only by a change in the color of the text may be hard for color blind or other visually impaired users to differentiate from non-linked text. Does your site have the option for text to be increased in size without losing content? Can the user use the keyboard to navigate if the user is not able to use a mouse due to Parkinson’s disease or other disability? These are just some of the inquiries you should undertake when analyzing accessibility. In light of the recent legal focus on web accessibility, and in the real estate industry specifically, companies in the industry are wise to address the issue now, even without formal instructions from the DOJ. The best course is to conduct a thorough accessibility audit of your company’s website, based on the principles and guidelines of the Web Accessibility Initiative either internally, if you already have a robust technical team able to take on the task, or through a third party company. Once the audit is conducted, you will have a much better idea of where the company’s vulnerabilities lie as well as the scope of the project to remediate any issues. It may make sense to combine an accessibility overhaul with a redesign or other update to your website in order to make the process of development, testing and publishing more efficient. External legal counsel should be involved both to preserve confidentiality, under the attorney-client privilege, of your audit and plans for remediation, and to offer strategic advice on how to minimize the chance of a lawsuit and to maximize the defense. In short, due to a lack of clarity from courts and the DOJ regarding web accessibility requirements and standards, the legal challenges to real estate companies’ websites under Title III of the ADA are only likely to increase in the coming months. If you have not thought about the accessibility of your website – now is the time to do so. If you become a target of an accessibility lawsuit or receive a demand letter from a plaintiffs’ law firm such as the type discussed above, don’t panic. While many of the most prolific Plaintiff’s firms are becoming very experienced in pursuing litigation in this area, there are many procedural and substantive defenses that outside legal counsel with experience in combating these lawsuits can use to protect you. The best course is to be prepared. This blog is made available for informational purposes only. It is not meant to convey the Firm’s legal position on behalf of any client, nor is it intended to convey specific legal advice. Any opinions expressed in this article do not necessarily reflect the views of Foley & Lardner LLP, its partners, or its clients. Accordingly, do not act upon this information without seeking counsel from a licensed attorney. This blog is not intended to create, and receipt of it does not constitute, an attorney-client relationship. Communicating with Foley through this website by email, blog post, or otherwise, does not create an attorney-client relationship for any legal matter. Therefore, any communication or material you transmit to Foley through this blog, whether by email, blog post or any other manner, will not be treated as confidential or proprietary. The information on this blog is published “AS IS” and is not guaranteed to be complete, accurate, and or up-to-date. PF Web Design makes no representations or warranties of any kind, express or implied, as to the operation or content of the site. PF Web Design expressly disclaims all other guarantees, warranties, conditions and representations of any kind, either express or implied, whether arising under any statute, law, commercial use or otherwise, including implied warranties of merchantability, fitness for a particular purpose, title and non-infringement. In no event shall PF Web Design or any of its partners, officers, employees, agents or affiliates be liable, directly or indirectly, under any theory of law (contract, tort, negligence or otherwise), to you or anyone else, for any claims, losses or damages, direct, indirect special, incidental, punitive or consequential, resulting from or occasioned by the creation, use of or reliance on this site (including information and other content) or any third party websites or the information, resources or material accessed through any such websites. If applicable, please note that prior results do not guarantee a similar outcome. Photographs are for dramatization purposes only and may include models. Likenesses do not necessarily imply current client, partnership or employee status.